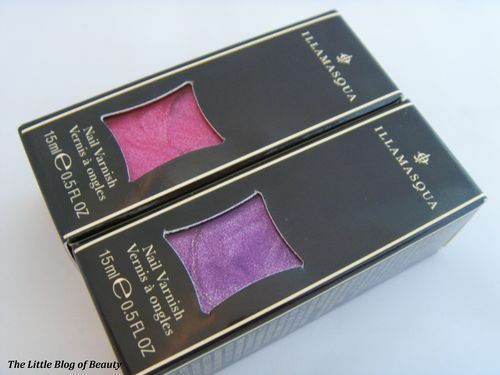 If you’re a regular reader of my blog you’ll know that I’ve become a big fan of Illamasqua’s nail varnishes and also that I nearly combusted with excitement when I discovered they were releasing a Paranormal collection (if you’re not sure why see my ‘about me’ page). 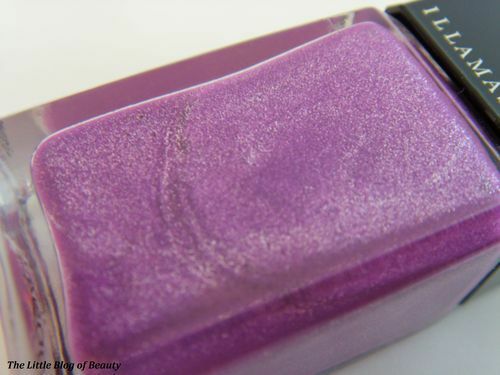 The Paranormal collection features a UV top coat (which I will be blogging about shortly) and three new UV shades. 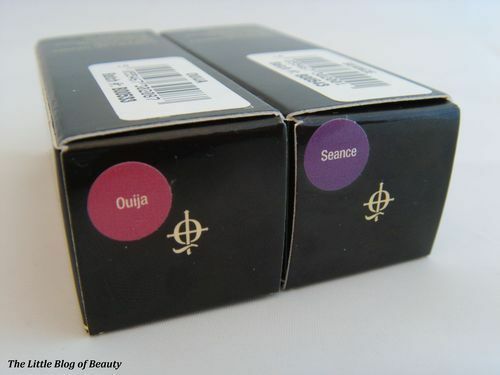 I’m very excited to have got my hands on Seance* and Ouija. In normal light these shades are stunning but as soon as the lights go out and the UV comes on, they become paranormal! I couldn’t capture the glow properly on my camera. The picture above was actually taken on my phone and is slightly better but still not very good. 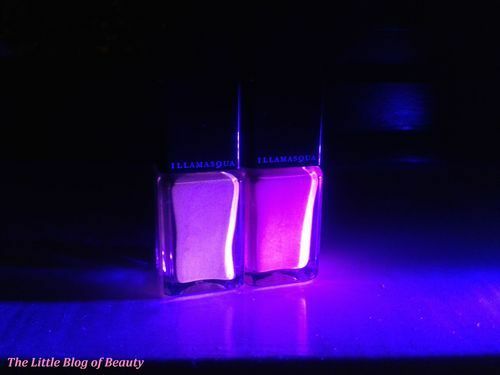 Both varnishes glow a bright pink colour. As usual the quality of these varnishes is amazing. 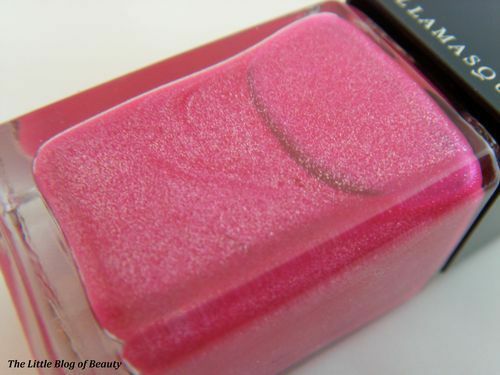 They apply really nicely, dry very quickly and are very tough. The first time I tried one of these I only applied one coat, which provides perfect coverage in normal light but then when I got my hands on a UV torch I discovered this looks a little too thin for in UV light. 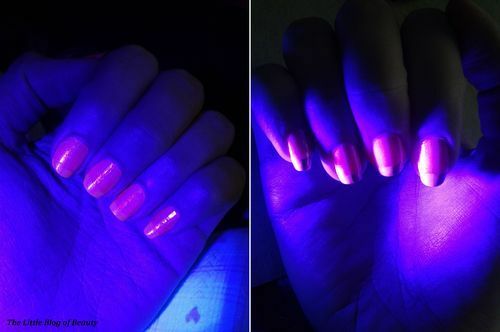 So if you’re applying this to be seen under UV light make sure you apply at least two coats to get the full effect. 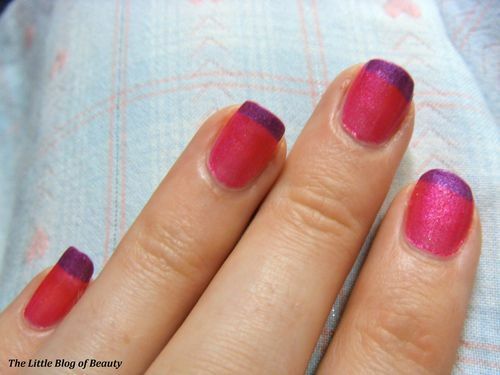 These are both so amazing I decided to try a very quick bit of nail art so I could use the two colours together. The UV part of these varnishes obviously makes them great for clubbing, festivals, or if your local Superbowl is the same as mine, bowling (do other Superbowl’s switch on UV lights after a certain time?). 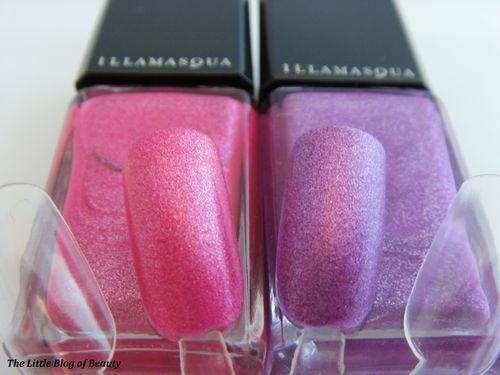 I am so in love with both of these nail varnishes I think they have both instantly become my new favourites. 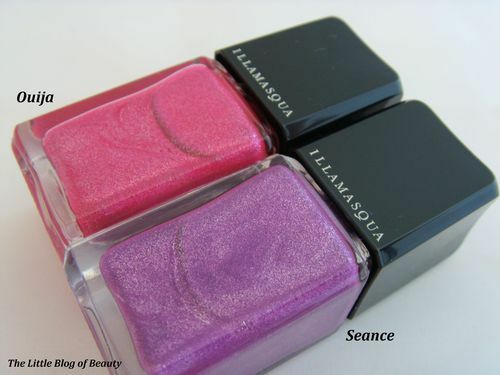 Seance and Ouija are £15 each and are available from the Illamasqua website.